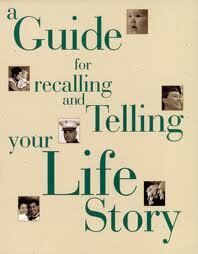 Everyone has a life story. And I expect each life story is unique. I think most of us go through life without truly contemplating the arc of our existence in the universe. We all struggle with the meaning of our existence and our connection to a higher power. Recently I read Elizabeth Gilbert's book Eat, Pray and Love as well as attending the movie of the same title. I suppose the label many give to the book is "chick lit" and the the movie "chick flick". For me it was interesting to read a book telling a life's journey through the feminine lens. As she went through the year of exploring her life through a stay in Italy, India and Indonesia she was able to probe her psyche far deeper that most of us have ever done. Her faith journey in the Eastern philosophies and religions are both intriguing and disturbing to me. I admire the disciplines she acquired in her search for "God" and her place in the universe. Much of her journey reminds me of the experiences of Job in the book of Job. She was tested in many ways similar to Job and suffered all kinds of challenging advice from her friends. She also supposedly lost all of her wealth in her divorce but since has received significant wealth with her book and movie successes. It is a great story of the survival of a person through destructive events and coming through with a stronger faith and deeper understanding of life. Perhaps this is the universal story for all of us. We gain, we lose, and we are restored. With the help of our Supreme Being, the hope is that we come out a better person with a deeper understanding of our role in this universe. I think I'll try to keep remembering that it is not what happens to me that is so critical, but it is how well I deal with what happens to me. And the story keeps unfolding.